The teddy bear in our Lullaby and Goodnight cloth activity book makes nighttime routines easier and more fun. A great companion for little ones, this Lullaby and Goodnight cloth activity book helps children develop a nightly routine as they get ready for bed. 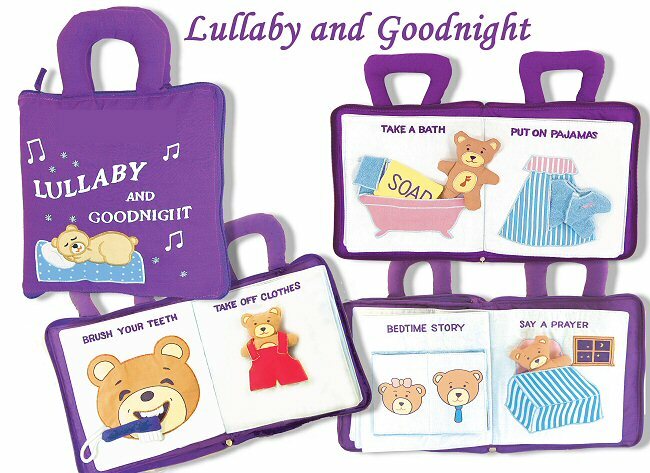 With activities on every page and a bear that plays Brahms' Lullaby when you press its tummy, Lullaby and Goodnight is a soft, hand-crafted cloth activity book that encourages creative, interactive play. A great gift for baby showers, christenings or birthdays. Zipper closure. 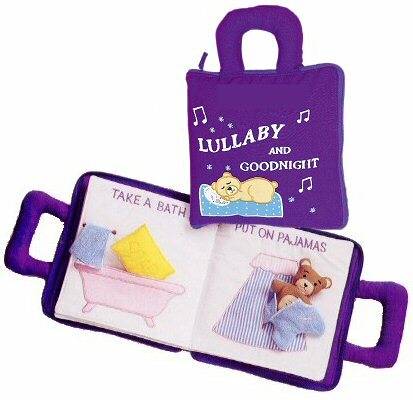 Note: This Lullaby and Goodnight cloth activity book can be easily personalized at your local embroidery shop. Your kids will love interacting with the story of Little Red Riding Hood in their very own cloth activity book.